The region that’s home to Rome is also responsible for many of Italy’s most famous pasta dishes, cured meats, cheeses and vegetables. 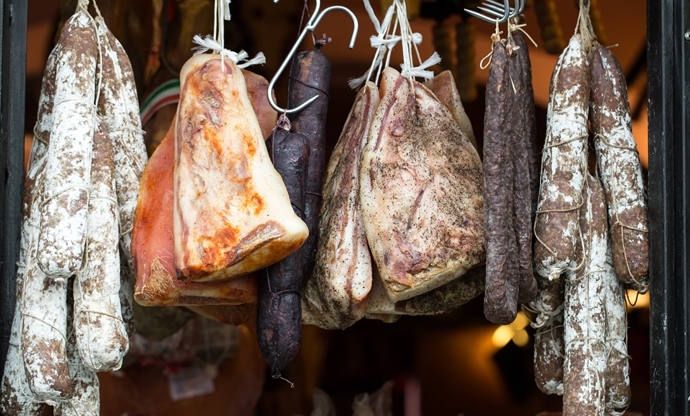 Read our crash course on the food of Lazio and become an expert in no time. Despite its large size, importance to the country’s economy and beautiful countryside, Lazio can be a bit of an unknown to tourists visiting Italy. 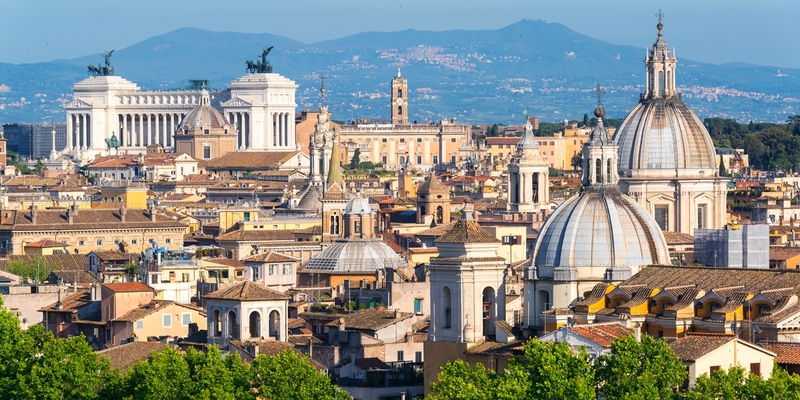 That’s because the name of this region is nowhere near as well-known as its most famous city, Rome, which also happens to be the Italian capital and home to some of the most important cultural and historical events, buildings, movements and cooking in the whole of Europe. But while throngs of visitors head directly for Rome to see its stunning architecture and indulge in plenty of pasta, there’s much more to see, do and taste in other parts of Lazio, which is home to some stunning beaches, beautiful medieval hilltop villages (known as borghi) and rolling fertile hills producing fantastic wine, fruit and vegetables. In terms of regional cooking steeped in history, it’s true that Rome trumps the rest of the area with its famous pasta dishes, traditional meat cookery and world-famous restaurants, but places like Amatrice and Antrodoco have made their names through food too. Then there’s the little towns along the coast and further inland which are home to hidden little trattorias serving up awe-inspiring simple dishes that encapsulate everything good about Italian cooking (without a tourist trap in sight). 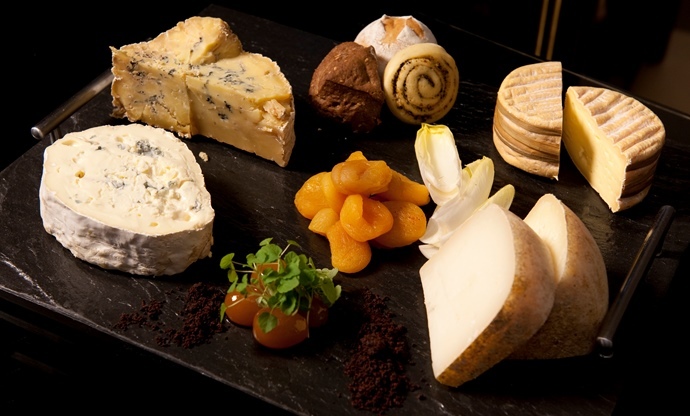 Whether you’re heading to Rome for a spot of sightseeing or venturing outside its walls into the Lazian countryside, you certainly won’t be short of delicious things to eat. Here’s what to look out for when you’re there. 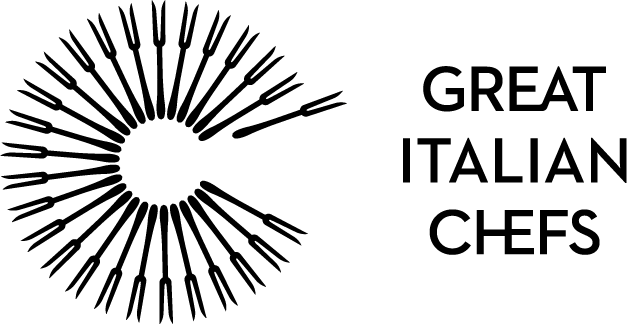 Italy’s most famous pasta dishes come from Lazio, with the four pasta sauces of Rome (carbonara, cacio e pepe, Amatriciana and Gricia) well-known around the world. 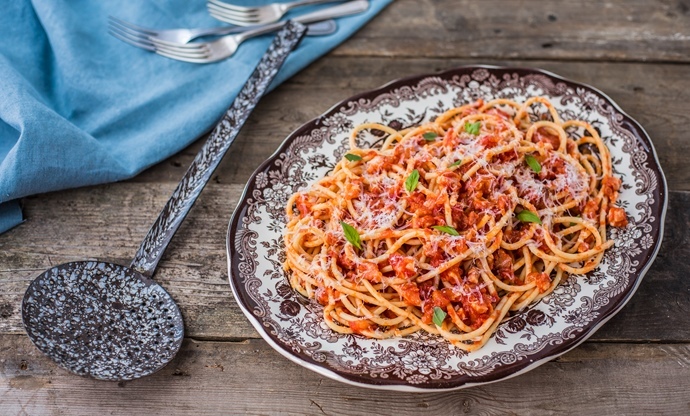 There’s also arrabbiata, full of fiery chilli, and in terms of shapes the most common are long strand pastas such as spaghetti, fetuccine or bucatini (which is like thicker, hollow spaghetti). The Quinto Quarto traditions of Rome have resulted in all manner of thrifty meat dishes, which make the most of offal. 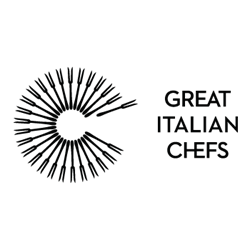 Throughout Lazio, however, robust stews, rich, slow-cooked ragùs and huge cuts roasted in the oven are the most common ways of preparing meat, with lamb, pork, chicken and veal equally popular. You can find all manner of fresh vegetables in Lazio, particularly in the spring, but the most famous has to be artichokes, which are either marinated in olive oil (carciofi alla Romana) or deep-fried whole (carciofi alla giudia), a tradition created by Rome’s Jewish population. Lazio is also famous for endive and a variety of chicory known as puntarelle. Guanciale is by far the most famous of all of Lazio’s cured meats and is an integral part of many famous pasta dishes from the region. Lazian salumi is generally more focused on curing whole cuts of meat rather than creating cured sausages, although they do exist (such as the offal sausage susianella). Keep an eye out for mortadella from Amatrice, which is held in particularly high regard. 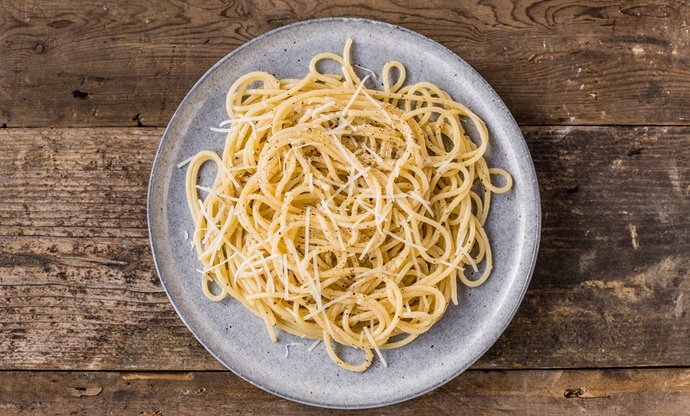 Pecorino Romano DOP is not exclusively made in Lazio (a lot of it actually comes from the island of Sardinia, which has very famous roots in sheep cheesemaking), but it is arguably the most popular variety. Ricotta is a common ingredient in dishes, as is mozzarella. The most famous of all the Roman pasta dishes, carbonara is a sauce made from guanciale (cured pig’s cheek), eggs and Parmesan. Authentic versions never contain cream; instead, the sauce is created by using pasta water to emulsify the egg and cheese, without letting the eggs scramble. 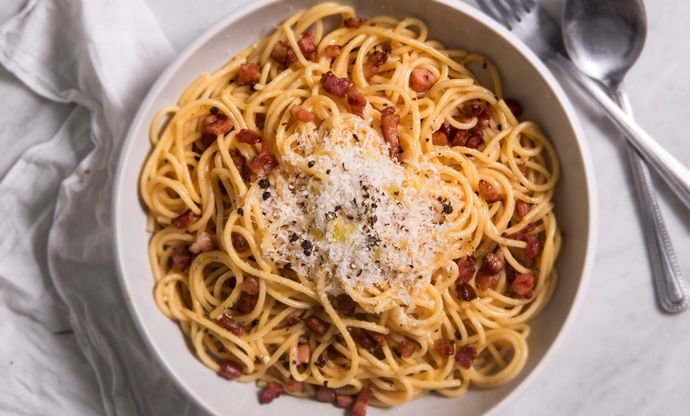 Pasta alla Gricia is a Roman pasta sauce which is essentially a simpler version of carbonara (which is believed to be an evolution of the dish). Fried guanciale and Pecorino Romano cheese are mixed with pasta water to produce a rich sauce, which is seasoned with plenty of black pepper. 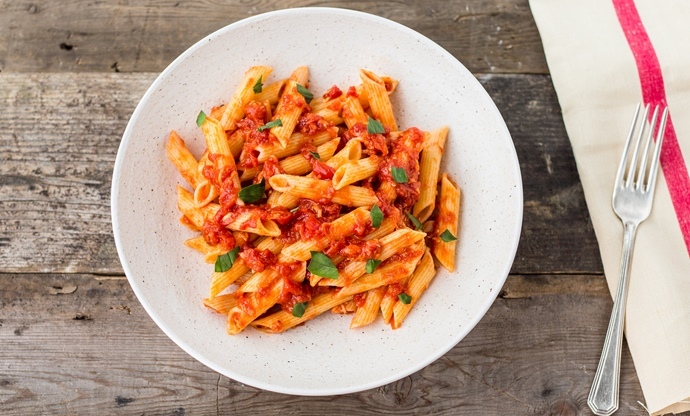 Arrabbiata is a Lazian pasta sauce which translates to ‘angry’, referring to the chilli in the tomato sauce. Not much else is needed – garlic and basil act as the aromatics, and it’s a sauce which tends to be served without cheese, making it naturally vegan. 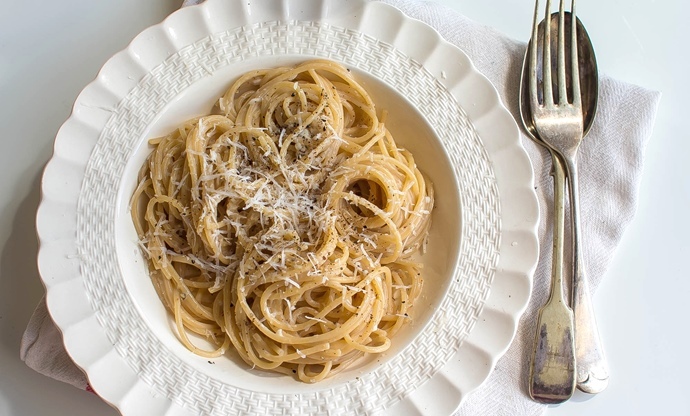 The final Roman pasta dish looks very simple on paper, but can be a tricky sauce to master. 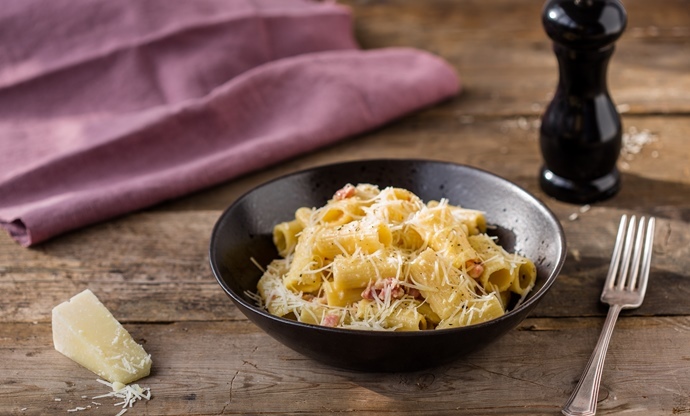 Pecorino Romano and lots of cracked black pepper are combined with just the right amount of pasta water to create a thick, glossy sauce which coats the pasta, with an extra dose of grated cheese sprinkled on top. This pasta from Amatrice (which was tragically hit by a powerful earthquake in 2016) is popular across the rest of Lazio and other parts of Italy. 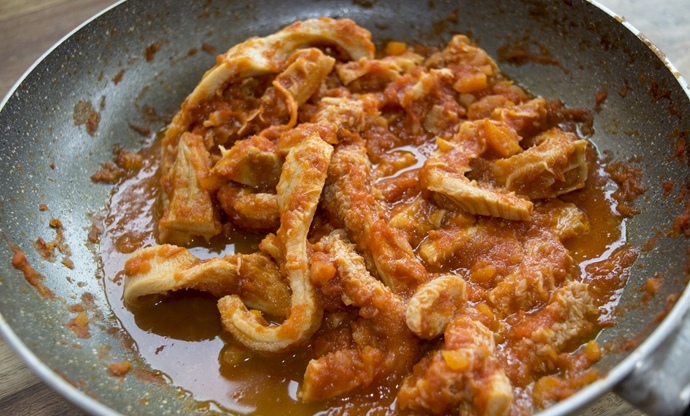 A tomato sauce flavoured with chilli, onion and white wine is combined with guanciale and used to dress bucatini, Lazio’s most famous pasta shape. 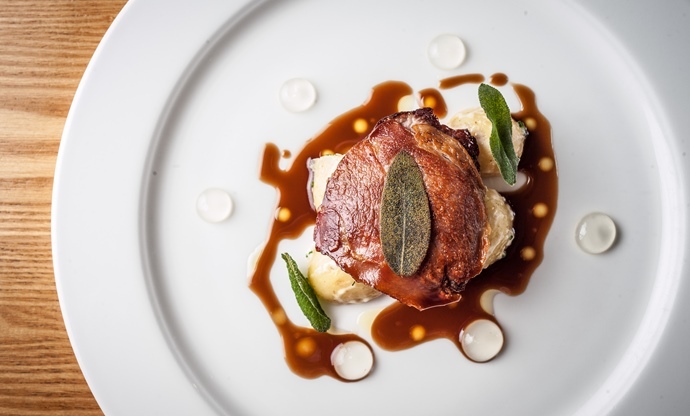 Lazio is home to some of Italy’s most famous meat dishes, with saltimbocca often replicated all over the world. The authentic version sees pieces of veal wrapped in thin slices of prosciutto and sage leaves, before being pan-fried in a mixture of white wine and butter. 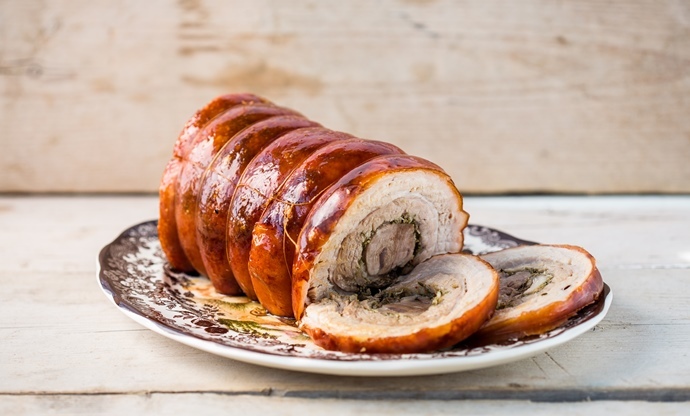 The origins of porchetta are shrouded in mystery, although the neighbouring region of Umbria is generally seen as the home of this famous pork dish. However, across Lazio you’ll find wonderful examples of porchetta, with whole pigs stuffed with a mixture of herbs, garlic and (sometimes) fennel before being slowly roasted whole. Vans across central Italy will then chop up the meat and stuff it into bread rolls, making this one of the country’s most delicious street foods. 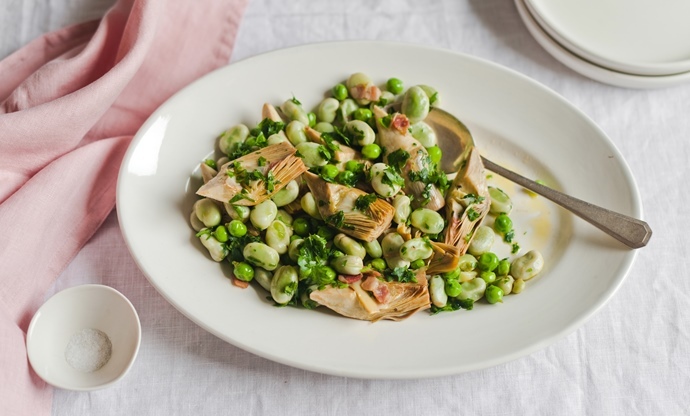 This Roman vegetable stew is a pure taste of Italian springtime, with fresh artichokes, broad beans and peas cooked in white wine and lemon juice. With such good quality vegetables not much else needs to be done to them, and you’ll see this dish being enjoyed across Lazio when they are in season. 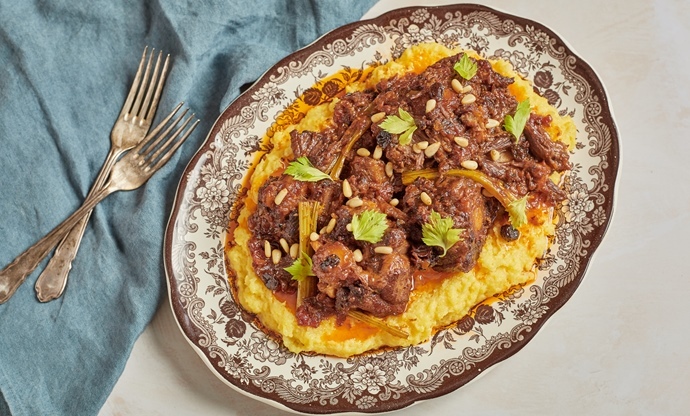 The perfect example of bold, flavourful Roman meat cookery, this stew is made of oxtail, which in Italy is considered a form of offal. The meat is gently braised in a tomato and red wine sauce with plenty of celery until meltingly tender to create a robust hearty dish perfect for Roman winters. Lazio’s answer to Sicilian arancini might look the same at first, but the key difference is that the rice is cooked in a tomato-rich beef ragù rather than butter and white wine. 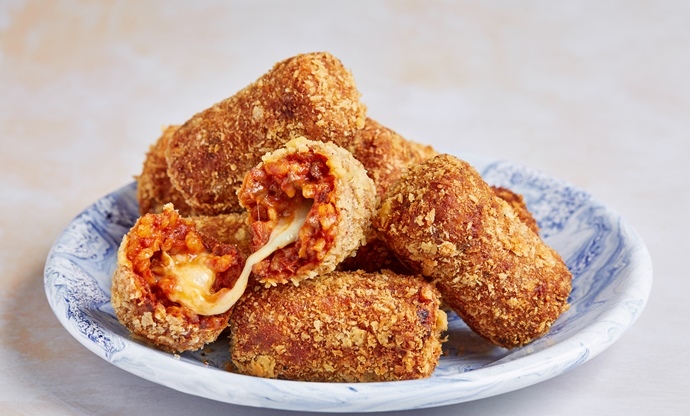 Each suppli is stuffed with plenty of mozzarella, which is why they are known as suppli al telefono – as they’re split open, the long strands of melted cheese are said to resemble telephone wires. 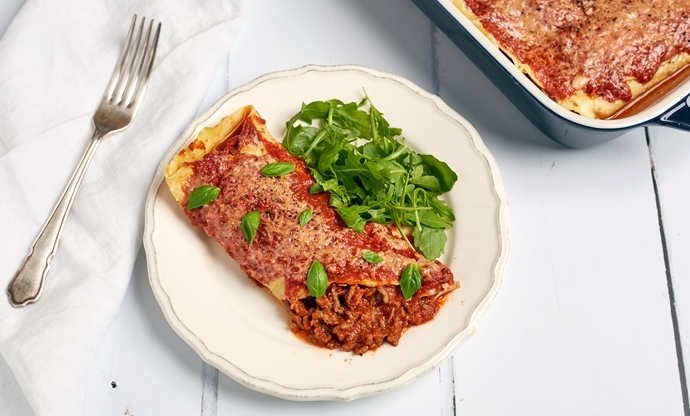 This dish, hailing from the small Lazian town of Antrodoco, consists of thin crepes being stuffed with a simple beef ragù before being topped with tomato sauce and grated Parmesan. They are then baked in a dish (similar to Mexican enchiladas) and finished with basil leaves. 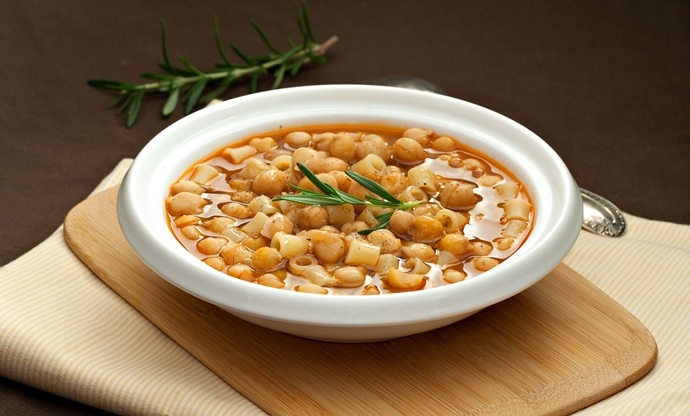 A simple combination of pasta and chickpeas that has countless variations depending on where you are in Lazio, this is a fantastic example of humble cucina povera cooking done well. The accompanying broth is often flavoured with anchovies, rosemary and garlic, with a little bit of tomato for sweetness. The people of Lazio eat a lot of chicken – an ingredient which isn’t as common in many other parts of Italy – and the most iconic way of preparing it is alla Romana. 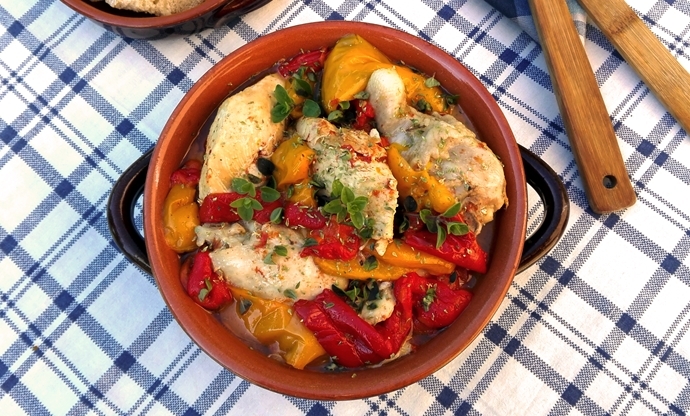 This sees a whole chicken jointed into pieces and braised in while wine with tomatoes and peppers until tender, with a little oregano sprinkled over the top. 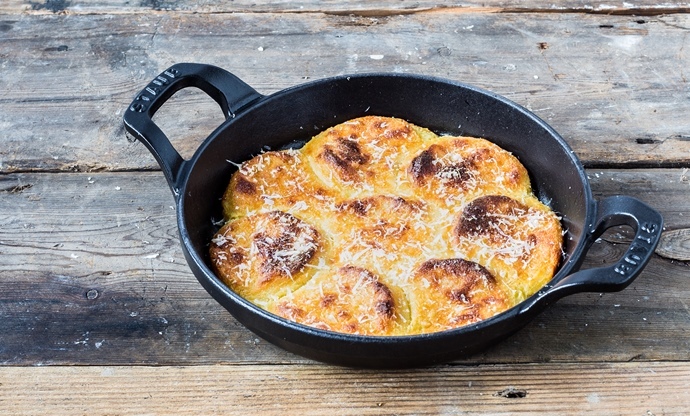 We think of gnocchi as small potato dumplings, often boiled and pan-fried with butter and sage or adorned with pasta sauce, but the Roman version is significantly different. Semolina flour is combined with milk, butter, egg and nutmeg, left to set then cut into rounds. These are then placed in a baking tray, sprinkled with Parmesan and baked until crisp. It’s an immensely satisfying dish that encapsulates everything great about Italian comfort food.